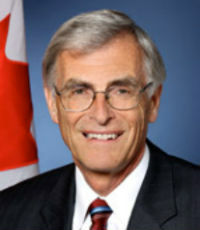 James Cowan has been in the headlines in 2014 for his genetic discrimination crusade. The Liberal senator from Nova Scotia is trying to push Bill S-201: An Act to Prohibit and Prevent Genetic Discrimination into law. The bill has been before the Standing Senate Committee on Human Rights since the early summer, after it passed second reading in the Senate. It still needs to go through the House of Commons.